I think–is the nightingale singing there yet? Are the roses still bright by the calm Bendemeer? All the fragrance of summer, when summer was gone. Is that bower on the banks of the calm Bendemeer. ‘Bendermeer’s Stream’, from ‘The Veiled Prophet’ in Lalla Rookh (1817), is a nostalgic lyric sung by the concubine Zelica to fulfil the prophet’s demands that she seduce her former lover Azim. This individual lyric was set by more composers than any other from Lalla Rookh, with James Power of London publishing settings by Lord Burghersh, William Hawes, and Lady Flint shortly after Moore’s poem came out. A later setting, by Edward Bunnett, was published in 1865. American settings (as ‘Bower of roses’) include J. Wilson (New York, 1817), as well as R.W. Wyatt and S. Wetherbee (Boston, 1820). The song also appears in Charles Villiers Stanford’s opera, The Veiled Prophet (Hannover, 1881; London, 1893 as Il profeta valeto). Project ERIN has recorded a special arrangement of the Stanford (with piano and obbligato clarinet), which will be made available on the project website early in 2019. “The Irish Melodies are perhaps the purest national tribute ever bequeathed by a poet to his country” (Novello). While Moore’s achievements were recognised in the years following his death, the efforts of the two composers who provided the original “symphonies and accompaniments” were either derided as too complex (John Stevenson), or ignored (Henry Bishop). And so in 1859, as the copyright to Moore’s Irish Melodies expired, the prominent publishing firm Novello released Moore’s Irish Melodies with new Symphonies and Accompaniments for the Pianoforte by M. W. Balfe. At that time, the well established theatre composer Michael William Balfe was producing works for the Pyne-Harrison Opera Company of London’s Lyceum theatre. The Irish-born Balfe was a logical choice to arrange these melodies — not least given his success as an opera singer before he took up composition and theatre management. In an unsigned preface to Balfe’s edition, the publisher claimed to be responding to a change in public taste “for the simple and natural” by issuing fresh arrangements of Irish Melodies from numbers one through seven. We can appreciate this simplicity in Balfe’s approach to Moore’s ‘Last Rose of Summer’ (Irish Melodies, fifth number), which he sets with single staccato quavers for the left hand punctuating a gentle triplet figure for the right hand of the piano part. Mezzo soprano Laoise Carney with pianist Brian Connor. At the same time as Novello was releasing a new version of Moore’s Irish Melodies, so too did the London-based publishers Cramer, Beale and Chappell. Sustaining an earlier interest in the original Irish Melodies (Cramer, Addison and Beale obtained the rights to James Power’s plates for Moore’s Irish Melodies circa 1840), this firm commissioned the London-based composer George Alexander Macfarren (1813-1887) to arrange Moore’s Irish melodies with new symphonies & accompaniments – also restricting the selection to songs from the first seven numbers. Macfarren’s arrangements were further promoted by Cramer through a wide selection of individual songs published into the 1870s; the London-based firm J. Macdowell seems to have taken over this enterprise around 1880. Macfarren’s arrangement of the ‘Last Rose of Summer’ favours a relentless semiquaver figure in the left hand of the piano part, against a purely melodic right hand. His harmonic learning is hinted at in the occasional introduction of a passing modulation. Granville Ransome Bantock (1868-1946) was another figure who was attracted to Moore’s Irish Melodies. An early recipient of the Macfarren scholarship at the Royal Academy of Music, Bantock demonstrated an interest in Moore while a student there in the early 1890s with his ambitious choral-orchestral setting of The Fireworshippers (see this blog for 30 June 2017). Later in his career, he would arrange some of Moore’s Melodies for voice and piano, including the ‘Song of Fionnuala’ as a song in four parts (1910). Of the three settings considered here, Bantock’s ‘The Last Rose of Summer’ is most successful in evoking the sound of the Irish harp through the use of arpeggiated (rather than rhythmically articulated) chords across both hands in the piano accompaniment. Novello. Preface, Moore’s Irish Melodies with new Symphonies and Accompaniments for the Pianoforte by M. W. Balfe. London, . an opportunity … of laying before the musical public an edition of the Irish Melodies of Thomas Moore, in which the airs could be given in an accurate form as noted by such excellent antiquarians as [Edward] Bunting and [George] Petrie. Stanford’s “Notes to the Airs,” which offers comments on individual songs, evidence his careful research in the collections of Bunting and Petrie as well as those of Smollett Holden and the venerable harper Turlough O’Carolan. Stanford compared variants of the tunes for which Moore had written original lyrics and then set the version he deemed the most authentic or superior. These “Notes” are critical in the full sense of the word, as Moore’s presentation of these Irish tunes is variously deemed ‘wrong’ or ‘mistaken’; he also stands accused of ‘spoiling’ or ‘destroying’ the original character of the airs — either by altering the time or tempo, or by raising the (characteristically Irish) flattened seventh degree of the melodic scale. Included here is a recording of “The harp that once in Tara’s Halls” (Irish Melodies first number) one of the rare tunes about which Stanford makes no comment in his “Notes”. We can infer from this silence that he accepted Moore’s treatment of the tune. His approach to the accompaniment, however, is notably different to Sir John Stevenson’s: rather than repeating the same accompaniment for each verse, Stanford writes a through-composed piece. A simple chorale-style accompaniment supports the elegiac tone of Moore’s first verse, where the harp is described as “mute”, or “asleep”. In the second verse, as the harp “swells” to tell a “tale of ruin” the accompaniment is accordingly more rhythmically active, with the voice of the harp suggested by strummed chords of considerable textural weight. Rachel McClelland (soprano) and Brian Connor perform C.V. Stanford’s “The Harp that once”. a careful regard for the true antique form of the music. frankly modern … the better [to bring the] force of the melodies home to the listener. masterpieces of lyrical writing … [and] the first popular presentation of the Folk-songs of Ireland. Stanford’s ambivalent attitude towards Moore was entirely characteristic of his time, and was arguably part of a changing sensibility within Ireland about how culture could and should be harnessed to articulate national identity. On 6 February 1895, shortly after his Irish Melodies of Thomas Moore was published, Dublin’s Freeman’s Journal named Stanford as a supporter of a new development, an annual festival of national music that was to become the Feis Ceoil. The Feis Ceoil, founded in 1897, is a significant cultural institution that still thrives today, in 2018. Obituary. “Mr A.P. Graves.” The Times (London), 28 December 1931. The Times Digital Archives. Artemis Gale Primary Sources. Accessed 20/07/2018. “The Revival of Irish Music.” Freeman’s Journal (Dublin), 6 February 1895. British Library Newspapers. Artemis Gale Primary Sources. Accessed 20/07/2018. Stanford, C.V. “Notes to the Airs.” Irish Melodies of Thomas Moore the original airs restored & arranged for the voice with pianoforte accompaniment by Charles Villiers Stanford. London: Boosey & Hawkes, . Stanford, C.V. Preface. Irish Melodies of Thomas Moore. Moore is a lyrical poet, and he is one of the greatest of our lyrical poets. No one can read ” The Irish Peasant to his Mistress,” or that weird pathetic wail, ” 0, ye Dead,” without perceiving that though Moore uses English and purer English he has filled it with a passion which is not English; which is rather the transmitted feeling of a long-subjugated race, which has suffered in mute patience, and found consolation in dreams. This affirmation of Moore’s Irishness – not universally perceived in the decades following his death – is an interesting facet of his posthumous reputation. All newspaper quotes sourced from https://www.britishnewspaperarchive.co.uk/, 29 April 2018. 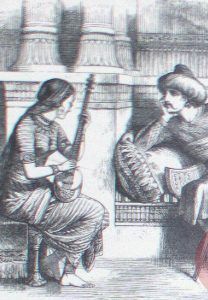 “There’s a bliss beyond all that the Minstrel has told” and “Fly to the Desert, fly to me” are subsequently sung by a hidden Nourmahal to her estranged lover Selim, who is so utterly enchanted that the two are thoroughly reconciled. Gronow continues with an anecdote about the disruptive effect of noisy tea-drinkers on the musicians at one such event, establishing that the repertory performed included violin concerto by Beethoven. Lady Flint counted among those who would perform at her concerts some of the leading London musicians of the day- including the acclaimed pianist-composers Jan Ladislav Dussek and Johann Baptiste Cramer, the “celebrated” violinist Giovanni Battista Viotti, and the double-bassist Domenico Dragonetti. From this one small anecdote we catch a glimpse of a woman of taste and discernment whose exposure to the best music and musicians of her day surely inspired her own imaginative responses to Moore’s lyrics. The performers are: Courtney Burns, soprano; Matthew Campbell, tenor; Poppy Wheeler, flute; Linzi Jones, violin; Jenny Garrett, piano. An Oriental Romance : Thomas Moore’s Lalla Rookh. This documentary, which marked the 200th anniversary of the first edition, includes excerpts of rarely-heard music inspired by Thomas Moore’s ‘oriental romance’. Mezzo soprano Helen Aiken and pianist Aoife O’Sullivan perform works by Victorian composer John Francis Barnett, the American Moravian composer George Klemm, as well as from the work that launched Robert Schumann as a composer of substance – Das Paradies und die Peri (1843). The reception of the first Irish performance of this work is discussed by Anja Bunzel, a recent PhD candidate of NUI Maynooth. We hear the mezzo soprano Martha O’Brien rehearsing Mozart-student Thomas Attwood’s cantata “Her hands were clasp’d” with O’Sullivan and Sinéad Campbell-Wallace of the Dublin Institute of Technology. Martha later performs George Kiallmark’s “Farewell to thee Araby’s Daughter” from an original edition issued by Moore’s publisher James Power. BMUS students from Queen’s University of Belfast (flautists Poppy Wheeler and Ciara Jackson, accompanied by Jenny Garrett on piano) perform an arrangement of Sir John Stevenson’s tender response to Moore’s “‘Twas his own voice”- a text that marks a pivotal moment in the story of the star-crossed lovers Hinda and Hafed. Further contributions on Moore’s ‘oriental romance’ itself and its cultural context are provided by Drs Daniel Roberts, Sarah McCleave, and Tríona O’Hanlon (Queen’s University Belfast), while librarians Síobhan Fitzpatrick (Royal Irish Academy) and Gerry Long (National Library of Ireland) discuss works by Moore in their collections; the Royal Irish Academy possesses a significant portion of Moore’s own library, which is available for consultation. On Monday 28 May 2018 (the day of Moore’s birth in 1779), Sarah McCleave will introduce the resources of project ERIN in a public talk, “Thomas Moore in the digital age: music, illustrations, stories”, as part of the ‘Meet the Music Series’ for Queen’s University Belfast. This will take place at 19:00 in the Old McMordie Hall, Music (University Square, Belfast). Sound files, image banks, and the catalogue will be introduced to those present. 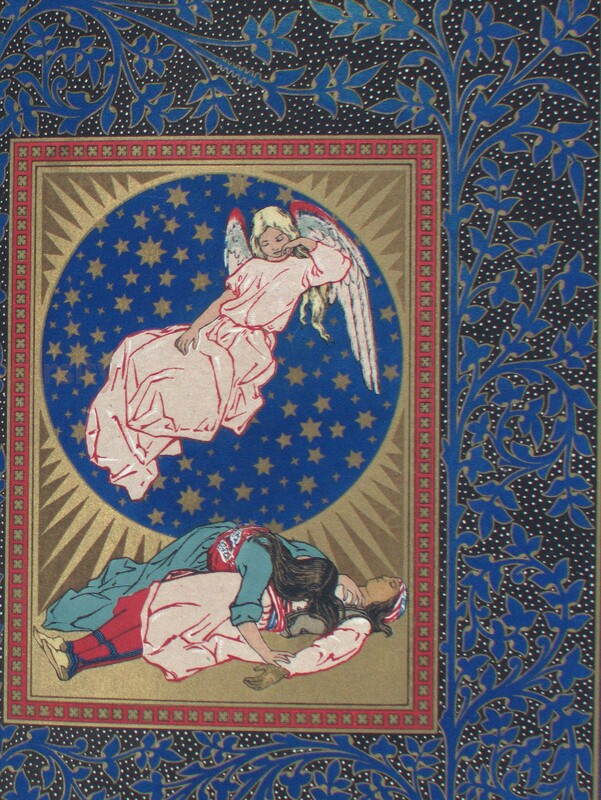 (The catalogue now has 500 of a projected circa 800 publications entered into it.) ALL are welcome and no tickets are required. Readers of the blog are reminded that the image banks (four collections) and associated narrative online exhibitions are already available (http://omeka.qub.ac.uk/). NEWLY available are the texts and powerpoints from four presentations undertaken by Triona O’Hanlon and Sarah McCleave during May-June 2017: see the Queen’s University Belfast open access institutional repository , https://pure.qub.ac.uk/portal/en/persons/sarah-mccleave [‘Publications’ 2017]. Future posts of the blog in 2018 will make available some recordings of the Irish Melodies featuring young singers from the BMUS at Queen’s; we will also offer features on particular pieces which can be traced across project ERIN’s resources. Project ERIN, through the OMEKA exhibition ‘Music to Moore’s Irish Melodies in Dublin and London’ (http://omeka.qub.ac.uk/exhibits/), documents the manner in which the Irish Melodies were reissued with new piano accompaniments once the copyright for the original series had expired. In all these publications Moore’s original poetry is preserved, although there is on occasion some editing of the rhythms of his melodies — which we might note were already carefully adapted by Moore from the normally instrumentally-orientated versions that were available to him. Our OMEKA exhibition ‘Moore’s Irish Melodies in Europe’ traces the publication of collected editions of Moore’s lyrics across space (Europe) and time (between 1808-1880). Most editions of the lyrics alone are in English, and faithfully preserve Moore’s poetry. The translations in Latin (Nicholas Torre) and Irish (John MacHale Archbishop of Tuam) retain the poetic form and style of Moore’s original, while Louise Swanton Belloc’s translation of these lyrics into French are rendered as prose paraphrases of the original. Moore’s Irish Melodies also inspired purely instrumental arrangements of the tunes he had selected, where the tribute to Moore is indicated by preserving either his title or incipit- as was the case with George Schultz’s The favorite Irish melody Fly not yet, arranged as a rondo for the harp (London, c. 1815), or William Vincent Wallace’s pianoforte variations, Last Rose of Summer (London, 1846). My dear Home of contentment, of Friendship and Love. On Saturday 17 June Dr Sarah McCleave and Dr Tríona O’Hanlon presented the plenary lecture at the 2017 SMI Conference, Queen’s University Belfast. The title of the lecture is Project ERIN and the Response of European Composers to Thomas Moore’s Lalla Rookh. The lecture provides a case study of Spontini’s Lalla Rookh, an overview of Project ERIN and its outputs. You may listen to the second part of the lecture, delivered by Dr Sarah McCleave, here. On Saturday 17 June Dr Sarah McCleave and Dr Tríona O’Hanlon presented the plenary lecture at the 2017 SMI Conference, Queen’s University Belfast. The title of the lecture is Project ERIN and the Response of European Composers to Thomas Moore’s Lalla Rookh. The lecture provides a case study of Spontini’s Lalla Rookh, an overview of Project ERIN and its outputs. You may listen to the first part of the lecture, delivered by Dr Tríona O’Hanlon, here. The second part, delivered by Dr Sarah McCleave, will be uploaded in our next blog on 8 October. Welcome to Thomas Moore in Europe. Our aim is to provide readers with an opportunity to follow the research project ERIN and to access information about Irish poet-songwriter Thomas Moore and his reception in Europe. The blog is moderated by Dr Sarah McCleave, Senior Lecturer, and Dr Tríona O’Hanlon, Marie Skłodowska-Curie Research Fellow, at the School of Creative Arts (Music), Queen’s University Belfast. Sarah McCleave on An Oriental Romance : Thomas Moore’s Lalla Rookh.